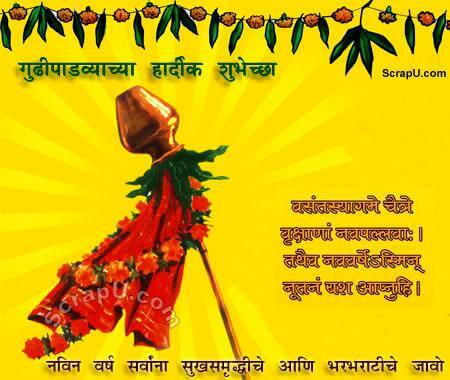 This is also first day of Marathi Calendar. This festival is supposed to mark the beginning of Vasant (spring). 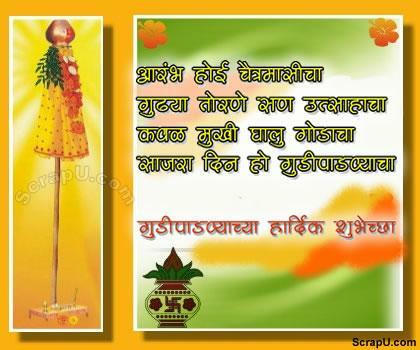 Gudhi Padwa is celebrated on the first day of the Chaitra month, and is celebrated as New Year's Day by Maharashtrians and Hindu Konkanis ( called as Samvatsar ( Sausar ) Padvo or Yugadi by Konkanis ). It is the same day on which great king Shalivahana defeted Sakas in battle.